Expect a nice Monday across South Florida with highs near 80 degrees and partly sunny skies. 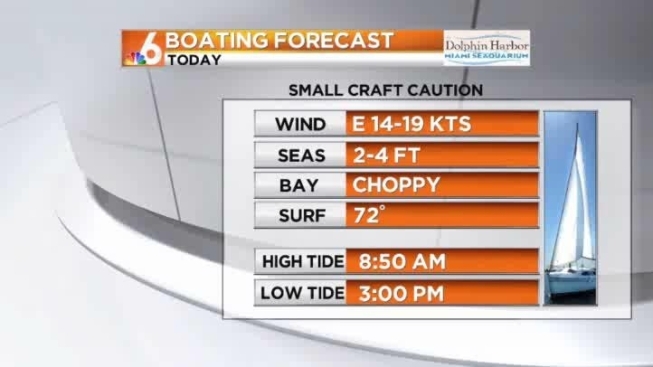 A Small Craft Caution was in effect for the boaters, who can expect East winds at 14-19 knots, 2-4 foot seas and choppy on the bay and inland waters. The beach water temperature is 72 degrees. Tonight will be partly cloudy with lows near 70 degrees. Tuesday will be breezy and another nice day with highs near 80 degrees and partly sunny skies.